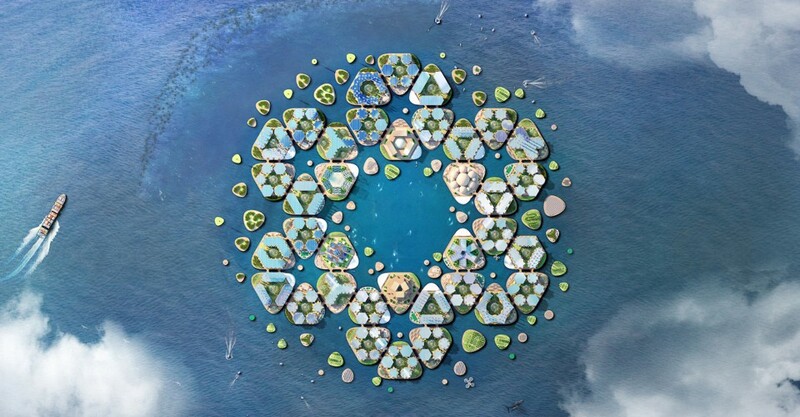 I don’t know if others have see this but its interesting both how similar some of the things we are doing are in name to this project (“floating cities”) and how different they are in substance. Should UN-Habitat—the UN agency responsible for sustainable urban development—be toying with a moonshot response to climate change? Utopian thinking is essential, now more than ever. But this is a narrow, escapist, apolitical utopia, rather than a truly bold and capacious one. Maybe UN project developers could read a little Guattari? As Martin Luther King famously stated back in the 1960’s “We have learned to swim the seas like fish, and fly the skies like birds, but we have not learned to walk the earth like brothers.’ Guattari’s ecosophy then is a philosophical attempt to remedy this situation, calling for a new way of understanding the world and our place in it allied with a new method of being to create an ecologically sustainable and socially equitable world. This reminds me of Jack Vance “The Blue World”, but the Kraken didn’t got into the renders.